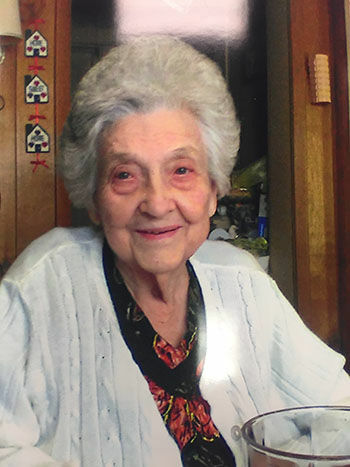 Ruby E. Sholar, 98, of West 17th Street, died at 5:50 p.m. Saturday, Nov. 24, 2018, at her home of natural causes. Services will be at 2 p.m. Tuesday at Lamb Funeral Home with John Voss officiating. Visitation will be from noon until the service time Tuesday at the funeral home. A native of Christian County, she was born May 24, 1920, the daughter of the late Chester F. Wilkins and Mardecia P. Bell. She was retired from the meat counter at Drury Brothers Grocery and was the oldest member of Eagle Way Church of Christ. Survivors include her twin daughters, Bonita (Ronald) Fitzgerald and Juanita Pullam, both of Hopkinsville; her son, Billy Ray (Harriette) Hancock, Hopkinsville; 15 grandchildren, 30 great-grandchildren and 31 great-great-grandchildren. Expressions of sympathy may take the form of memorials to the Church of Christ Disaster Relief Fund, 410 Allied Dr., Nashville, TN 37211.